The Military has hired world-renowned scientist Chanel Flores to explore a mysterious island that has suddenly appeared in the Bermuda Triangle! During her flight to the island, a mysterious electrical fog engulfed her plane, and forced her to parachute to safety. 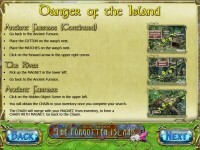 Use our helpful Strategy Guide to help Chanel explore the island, and make her way back to her ship in Secret Mission – The Forgotten Island, a fun and exciting Hidden Object game. 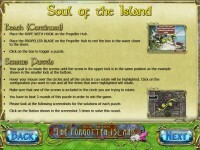 Tell someone about Secret Mission: The Forgotten Island Strategy Guide Game!